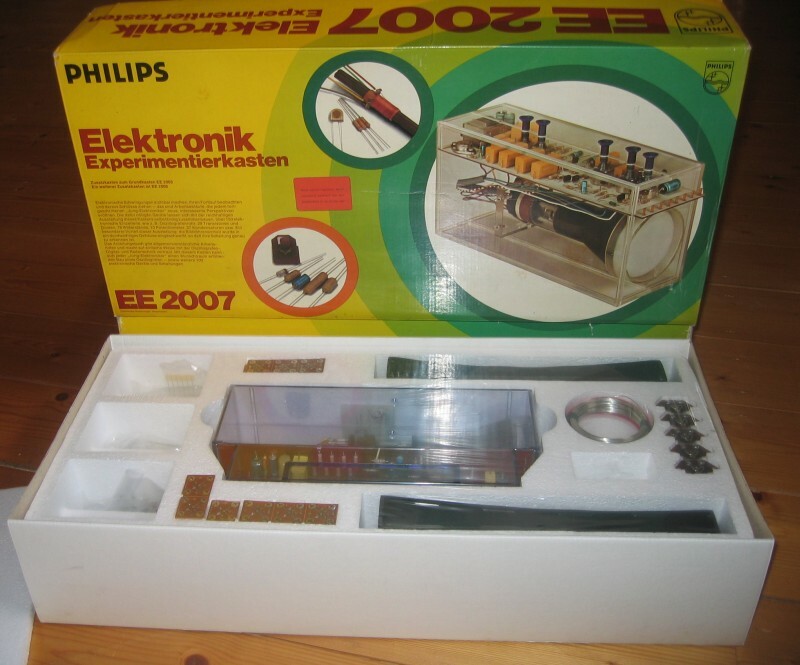 On these pages you will find information on the Philips Electronic Engineer series of electronic experiments kits, based on my former collection of these kits and my experience ever since I was a small boy. As many I have been strongly influenced by these kits in my choice of education and career. 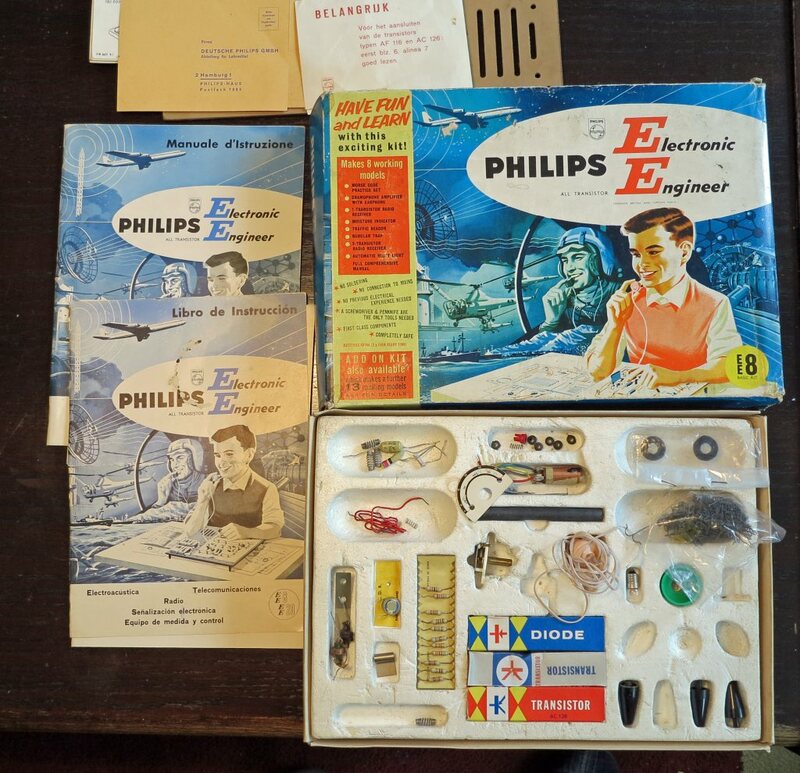 Now that Philips for many years is no longer selling these kits, they become rare, the need for preservation and documentation arises. 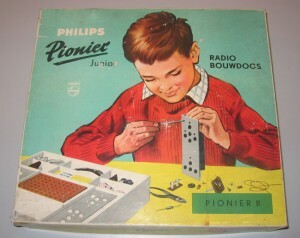 On this site you will an overview of the kits I once owned with pictures and some scanned manuals. See the menu on the left side for the available material. 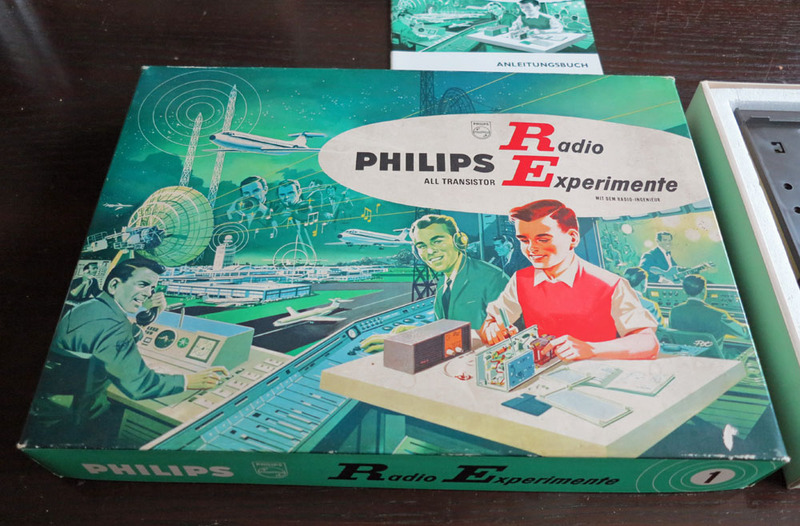 Other sites of interest with a complete overview and all available documents are the the library pages of Tor Gjerde and the Philips/Schuko experimentiersystem pages of Norbert Schneider. Advertising art is shown here. 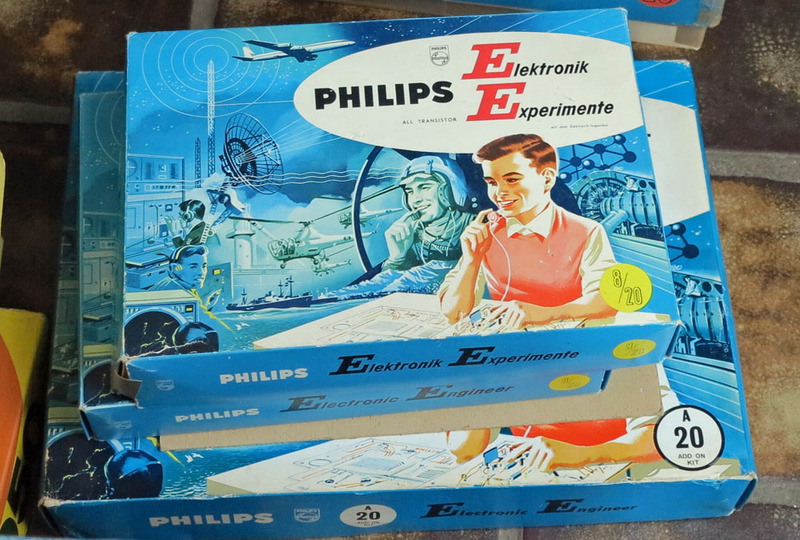 I had collected a large, quite exclusive, rare and beautiful collection of electronic building kits. As you can see in the images below it takes a lot of room and I had to sell it.